Both professionals as well as video creation and editing enthusiasts need tools that make the task of capturing, converting and tagging videos with which to later create their own productions a lot easier. 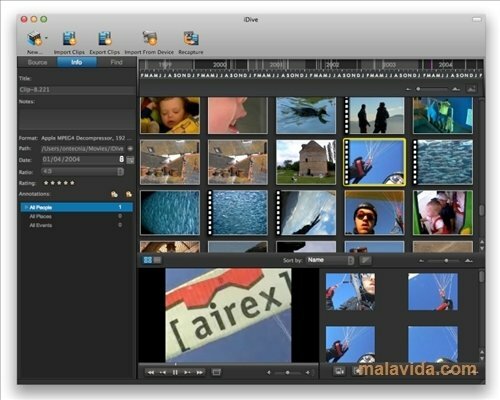 iDive is a tool that allow the user to capture video from a digital camera to the hard drive, convert the resulting files to formats that are compatible with any video editor (like iMovie, Final Cut or Premiere) and catalog each of the file, so that the user can find them as quick as possible. The programs interface is very appealing and we won't need to open the manual to perform any action, since all the controls are always visible. 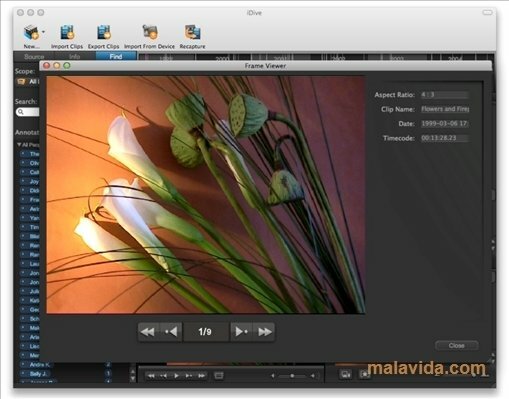 Maybe the only drawback that we might find in this application is that it doesn't integrate with any video editor, something that other applications of the same category are capable of doing, so it won't be possible to enjoy all the power of iDive in our favorite video production application.